We are privileged to have won a significant number of awards over the past years for our work within the jewellery industry and beyond. We're very proud of this list. We are so proud of our Goldsmith Will who was awarded Gold in The Goldsmiths’ Craft & Design Council Awards 2019, announced in London at the industry’s ‘Jewellery Oscars'. The prestigious award is for his ‘primrose flower inspired necklace’ which is set with over 100 diamonds. Handmade in palladium and 9 carat yellow gold, the necklace is Will’s “Masterpiece” and the final project in his Diamond Mounter Apprenticeship. As part of the Goldsmiths’ Company Apprenticeship Scheme, Will was “bound” to Harriet Kelsall as his “Master” and was so until the completion of his apprenticeship in October 2018 when he received his Freedom of the City of London. We are honored to make it to the finalist stages of the 2019 UK Jewellery Awards in the 'Retailer of the Year' (five stores or fewer) category. The results will be revealed at a prestigious awards ceremony in July. We are honored to make it to the finalist stages of the 2019 UK Jewellery Awards in the 'Store Design of the Year' category. The results will be revealed at a prestigious awards ceremony in July. We are so proud of our Founder & Chair! 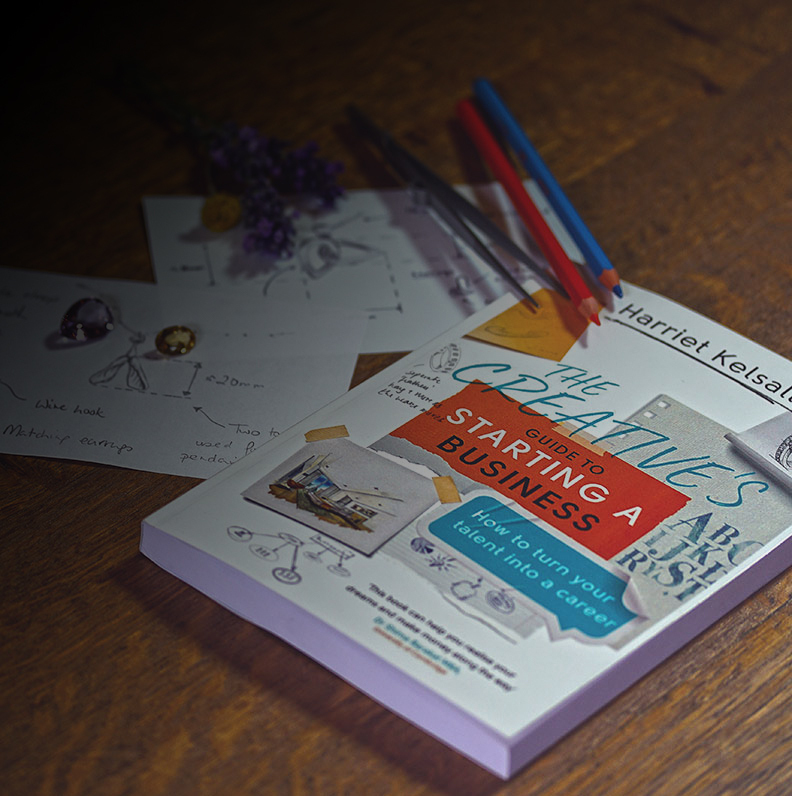 Harriet's book "The Creative's Guide to Starting a Business: How to turn your talent into a career" has been shortlisted in The Business Book Awards, 2019. We also shared the Overall Winner title with four other businesses after scoring the maximum 100% on both mystery shops, proving customer service is at the heart of everything we do. We were delighted to be named as finalists in the 'Best New Store or Store Refurbishment of the Year' category of the 2018 Professional Jeweller Awards. This was a brand new category for this year and celebrates retailers adapting store environments to meet new consumer demands. Retail Jeweller Inspiring Independents profiles the top 100 independent jewellery and watch retailers from the UK & Ireland. Inspiring Independents is a celebration of all that is great about independent retail and we're thrilled to make the list once again. The Muddy Stilettos blog describes itself as 'the urban guide to the countryside' and is categorized into different counties. The blog runs annual awards which are "about celebrating and supporting the most unique, interesting, brilliant local businesses". We were delighted to be named the winner of a Cambridgeshire Muddy Stilettos Award for 'Best Jewellery Store 2018'! We are thrilled to have been awarded ‘Bridal Jewellery Retailer of the Year 2016’ at Retail Jeweller UK Jewellery Awards, celebrated as the Oscars of jewellery retailing. 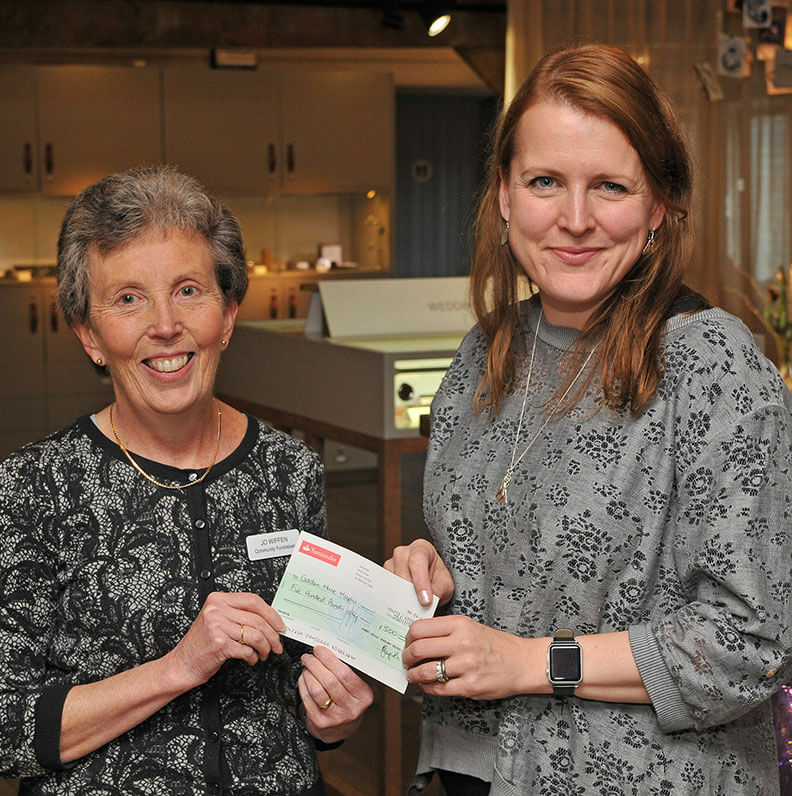 Harriet Kelsall Bespoke Jewellery was distinguished as ‘amazing’ by the judges of a rigorous mystery shop, who were unanimous in their vote that the company was “head and shoulders above the rest”. We were thrilled to be named finalists for the Designer-Maker Jewellery Boutique of the Year category of the 2017 Professional Jeweller Awards. Finalists in this category are designer-makers showcasing their pieces within their own boutique. Will was selected for the second year running, improving on his ‘Highly Commended’ place in 2015. His Silver Medal in the Craft, 3D Finished Pieces category was awarded for an Art Deco inspired pendant, featuring a range of traditional diamond mounting techniques. The design includes two delicate handmade hinges, ensuring the piece will sit perfectly on the wearer. The Hot 100 is split into six categories, including 'Business Big Shots' and Harriet Kelsall was included in the prestigious list for 2016. Business Big Shots are defined as the individuals and teams that are “shaping the UK jewellery industry”. They command the respect of the entire business community for their leadership, innovation, vision and delivery of outstanding results. We are delighted that we were listed as a finalist in the Employer of the Year Category at the 2017 UK Jewellery Awards. Harriet was thrilled to win the 'Retail Businesswoman' award at the London regional finals of the Forward Ladies Women in Business Awards 2016. Founded in 1999, Forward Ladies supports women in their professional lives and celebrates and champions the role of women in the workplace. Congratulations to Harriet who was awarded HSBC 'Retail Businesswoman of the Year' at the Forward Ladies Women in Business Awards 2016. Harriet was distinguished among trailblazing and pioneering women from enterprise and industry in what is one of the country’s biggest ever searches for successful women in business. 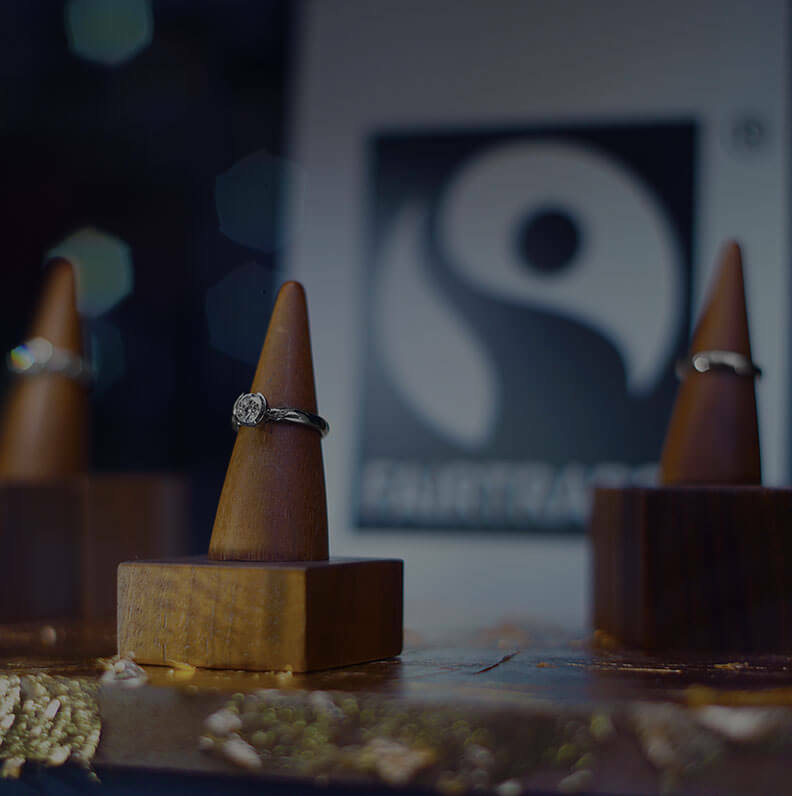 We've been celebrating success at the BJA Fairtrade 'I Do' Competition, where a design of a matching wedding and engagement ring set was chosen as the winner. We are very pleased to have been short listed for Business in the Community's "The Santander Responsibile Small Business Award 2015" for our efforts in jewellery ethics, the environment and our work to help create a fairer society. We are delighted to announce that we are one of a small group of UK jewellers to become finalists in the UK awards 2015. 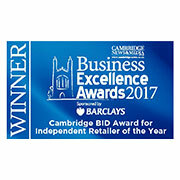 We are thrilled to have been awarded ‘Independent Retailer of the Year’ at the Cambridge News Business Excellence Awards 2017. Harriet Kelsall Bespoke Jewellery was praised by a panel of esteemed judges for pioneering bespoke jewellery on the UK high street. Muddy Stilettos Awards Hertfordshire & Cambridgeshire 2017 - "Best Jewellery Store"
We were so proud to learn that Will achieved Highly Commended in the Junior Diamond Mounting category of the Goldsmiths' Craft and Design Competition. There is no set design brief for the Diamond Mounting category but the predominant focus is in the skill, techniques and craftsmanship used to create the piece. Will's chosen butterfly design was both a brooch and pendant which presented both a design and making challenge that Will was determined to overcome! The design brief for the award was to create an expressive and distinctive colourful set of jewellery based on a theme. The winning designs are based on Aurora, the goddess of the dawn who gave her name to the spectacular natural phenomenon that lights the sky with a shimmering curtain of colour. The final 'Aurora' necklace sketch won the silver award in the 2D category. Harriet was absolutely thrilled to be amongst the top 6 women judged to have changed the business world in 2014. 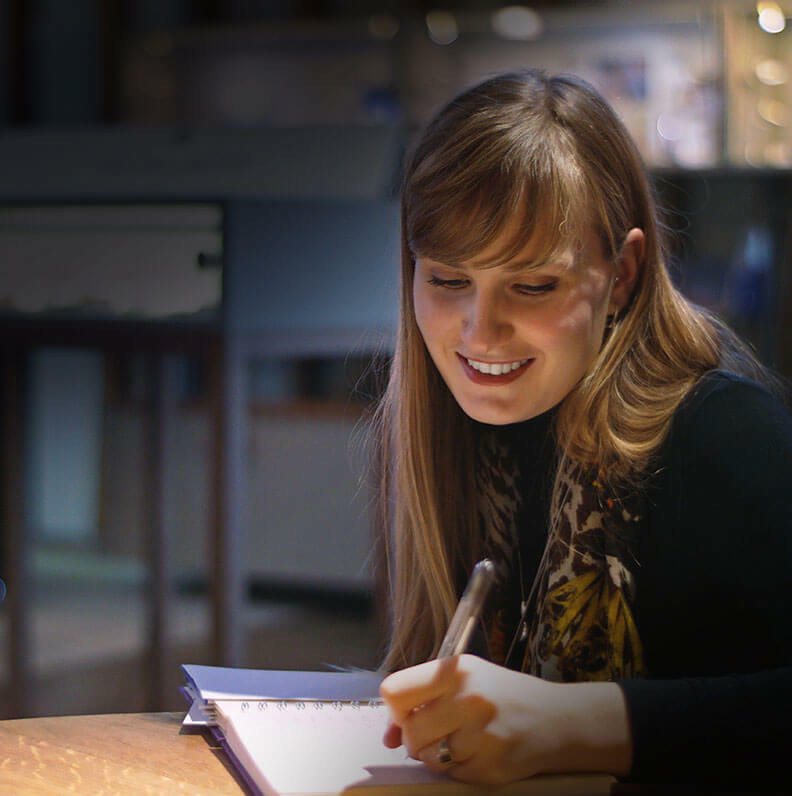 The Institute of Directors felt that "Through her emphasis on bespoke design, ethically sourced gems and Fairtrade gold, Harriet has helped revitalise the jewellery industry". Apprentice Will has shown great aptitude, winning Gold in the UK World Skills Championship for Fine Jewellery Making. We were delighted to be awarded possibly the most prestigious award in the UK jewellery industry in 2013 - Boutique Retailer of the Year - for our newly refitted and relaunched Hertfordshire Jewellery Centre. 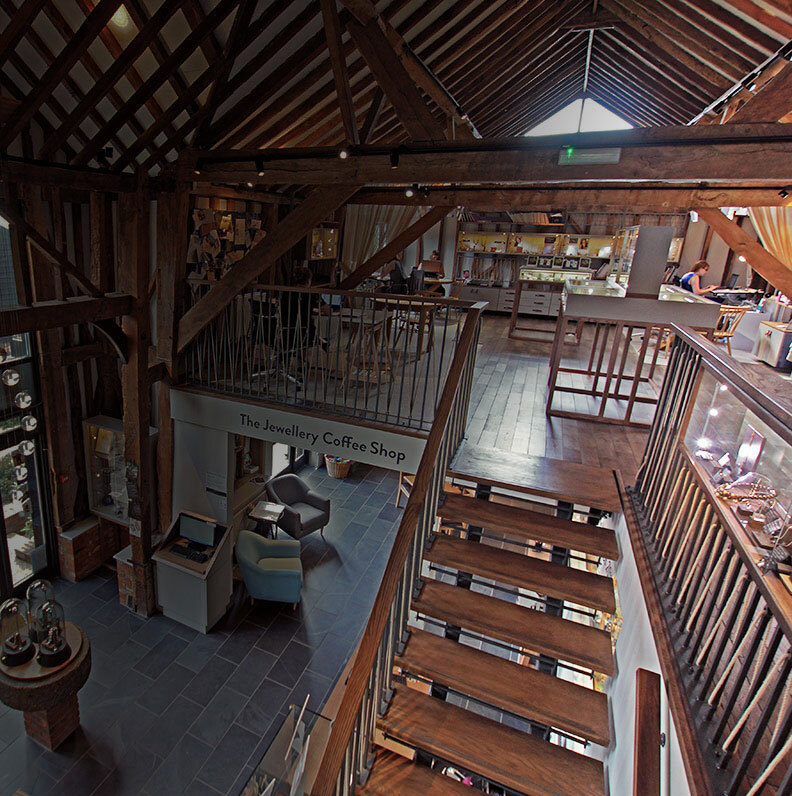 Following our success with our Cambridge store, we applied our unique blend of designers and retail to our amazing tudor barn space in rural Hertfordshire with what the judges felt were spectacular results. Retail Week Magazine chose our refitted Jewellery Centre in Hertfordshire to stand alongside prestigious flagship stores across the world in their shortlist for the best and most innovative interior retail designs. Harriet was one of the 4 finalists in the British Jewellers' Association Awards 2013. In the category "Industry Contributor", people working in the jewellery world were given an opportunity to nominate and vote for who they thought were the most influencial people working in their industry - Harriet was on the list - and although she didn't win this, she was very proud to have been a finalist. Harriet Kelsall Bespoke Jewellery fought off considerable competition from the thousands of businesses based in Hertfordshire to become one of 2013's finalists for the category "Small Business of the Year". The teams contribution to the community through their "Children's jewellery making workshops" and other local activities impressed the judges. Cambridge was surprised to discover that the quiet and unassuming jewellery shop in the cobbled streets of Green Street was in fact a national market leader and innovator in bespoke jewellery design. 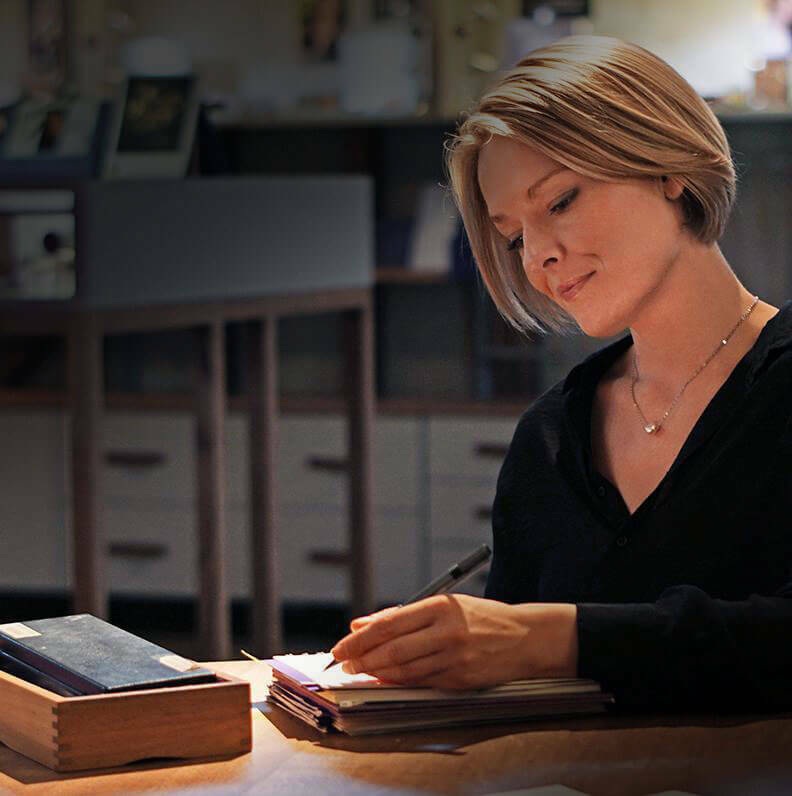 They were so proud of their discovery that they awarded the company "Small Business of the Year"
Harriet and the team were just pipped at the post for the Rolls Royce of all jewellery awards - the "Independent Retailer of the Year" at the UK Jewellery Awards. Although the team were disappointed to not win they were thrilled to have reached the final and judged one of the very best jewellers across the UK. 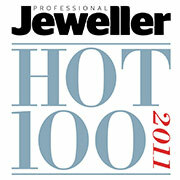 For a second year running HKBespoke was listed in Professional Jeweller Magazine's "Hot 100". The magazine produces a list of businesses and individuals who have contributed something new and interesting to the industry that year. Retail Jeweller Magazine listed Harriet Kelsall Bespoke Jewellery in their "Independent Retailer of the Year" awards. The list contains the best and most exciting independent jewellers from across the UK and HKBespoke was delighted to be near the top of the list nationally. 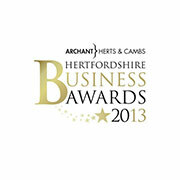 This was a new award set up in Hertfordshire to flag inspirational business from the Hertfordshire area. Harriet and the team won "Best Small Business" and were delighted to find themselves on stage receiving the trophy with an amazing range of successful businesses from the local area. Harriet was nominated for the Specsavers Everywoman of the Year Award in 2011 and she was amazed to discover she had made it to the final stage of voting. To cut a long story short, she found herself at the Savoy in London surrounded by all the top women in British retail and to her absolute shock was given the overall title of "Woman of the Year 2011" for being an inspiration to women in the retail sector. The launch of HKBespoke's groundbreaking "Bespoke Jewellery for the high street" shop and studio in Cambridge was so successful that the team won "Business Initiative of the Year" at the UK Jewellery Awards. The judges were blown away by the company's inspirational approach to helping jewellery designers with their career progression. The launch of Professional Jeweller Magazine's "Hot 100" list saw Harriet and the team feature near the top. A glittering party in London was the backdrop for the unveiling and we're delighted with this achievement. Retail Jeweller Magazine's "Inspiring Independent" award is a celebration of innovation in the independent sector of the jewellery industry. Harriet Kelsall Bespoke Jewellery was in the list in 2011 and the company is very proud to be mentioned amongst the best. FSB are experts in business. Their mission is to help smaller businesses achieve their ambitions and we were an honored to be a finalist in this prestigious category. We were shortlisted in the Best Medium Sized Business category (25-250 employees). The company who pipped us to the post to win the category are called P & J Storefitters and they have an inspirational success story and we wish them the very best. It was an honour to be recognised for our trailblazing website and online presence.